Justin Gorre (law enforcement photo). Arlington Heights police at 5:39 p.m. on Tuesday, September 20, 2016 arrested Justin Gorre, 27, of Arlington Heights at or near Outback Steakhouse, 909 North Elmhurst Road, Randhurst Village, Mount Prospect. Prosecutors say Gorre attacked a pregnant woman while a 7-year-old child was present. Justin Gorre, 5’8″ 140 LBS was charged with aggravated domestic battery, aggravated battery to a pregnant person, violation of order of protection and unlawful restraint. Gorre also faces misdemeanor charges of interfering with a 911 report and violation of an order of protection. If convicted of the most serious charge, Gorre faces up to seven years in prison. Cook County assistant state’s attorney Alyssa Grissom said Gorre and the woman, who is seven months pregnant, got into an argument Monday over Gorre’s relationship with a female co-worker. Gorre put a pillow over the woman’s face and a towel across her throat, restricting her ability to breathe. At one point, Gorre put a sock in the woman’s mouth to keep her from screaming while arguing in the apartment living room, according to Grissom. The woman attempted to flee, but Gorre grabbed her hair. She was able to run from the living room to the bedroom, leaving behind a cellphone. Gorre hid the cellphone under the couch, Grissom said. The woman eventually got away and ran to a neighbor, who called police, Grissom said. When police responded, Gorre jumped off the balcony in the block of 4200 North Bloomington Avenue and fled the scene. Gorre pleaded guilty to battery earlier this year and had been placed on supervision with an order of protection from the earlier dispute with the same woman in May 2016. Grissom said that the Department of Children and Family Services (DCFS) has begun an investigation of the conditions regarding the 7-year-old child. 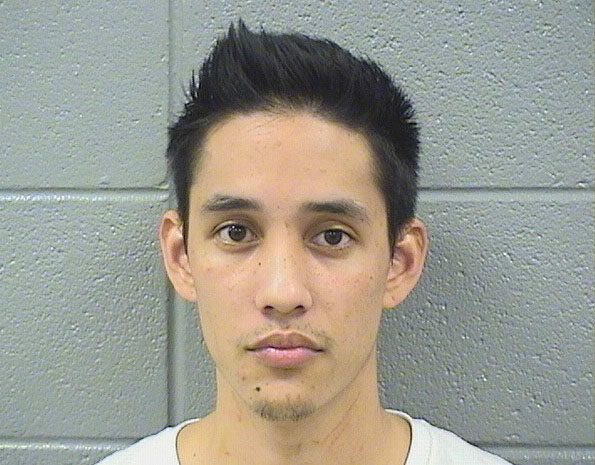 On Friday, September 23, 2016, Cook County Judge Joseph Cataldo set bail at $20,000 for the violation of supervision and $225,000 for the aggravated domestic battery charges and other current charges. Gorre was ordered held on a total bail of $245,000. Gorre is scheduled to appear in court on October 13, 2016, which may have been re-scheduled to October 14, 2016.